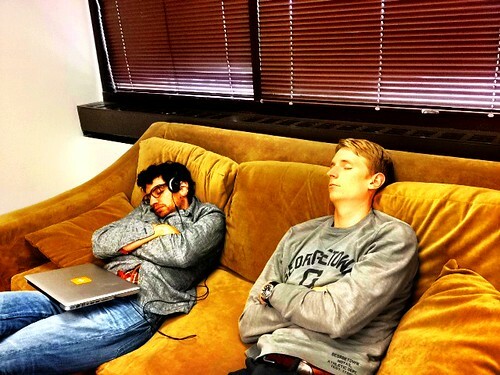 Innovation, collaboration … sleep deprivation. 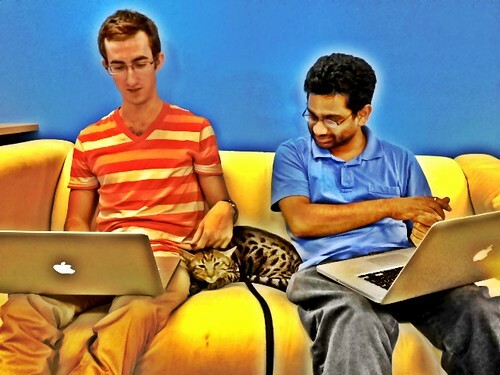 Put all those together and you know that AddThis Hackathon Summer 2012 was a great success! Over a dozen amazing presentations were given this morning from individuals and teams, showing off some of the most impressive projects to date! Fun new products, feature overhauls and internal tools for improved efficiency – our talented crew covered all the bases. 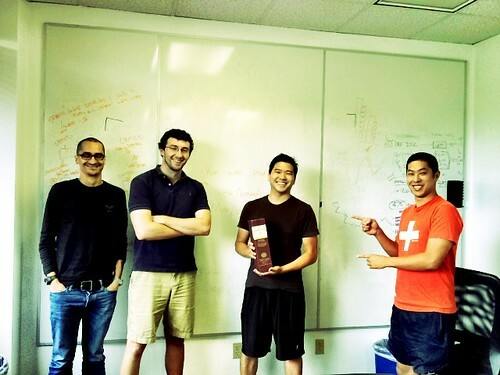 While the grand prize — a fancy bottle of scotch, some gift certificates, and bragging rights until the next hackathon — could only go to one project, every participant is a winner in teamwork, creativity and dedication. We’ll be sharing more information about the various projects as we roll some of them out in the coming months but to give you an idea, topics and tools ranged from new Pinterest solutions for publishers to usage of gestural and voice control technology. It was an impressive array of presentations and they made one thing very clear: the A-Team is proving that the future is now! Here is a look back at the past 24 hours. Now excuse us while we go catch some Zzz’s! The winners with their most important prize. Cats hacking?! Only at AddThis. 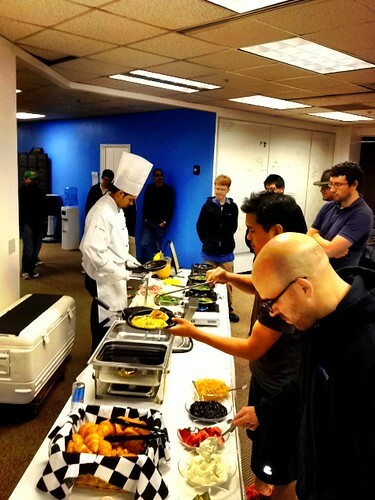 Hungry, hungry hackers enjoying our early morning omelete bar! If this looks like fun to you, check out our careers page. We’re hiring hackers and other great minds to join the party!